If you are looking for a multipurpose candle, votive 10 hour candles might be just the thing! The burning time of candles varies depending on the size of the candle, the wick and the type of wax used. Modern candle making techniques have given manufacturers much more control over the burn time of their candles. Some common burn time categories are 8 hour, 10 hour, 12 hour and 15 hour. The 10 hour votive candle is a popular choice. Votive candles are distinctive little pillars of wax that have a long history. The candles were traditionally used in religious festivals, and they remain in use in churches and chapels throughout the world today. 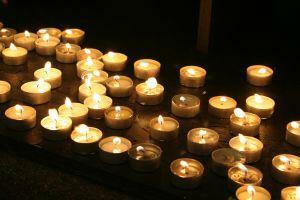 The candles would originally have been created from beeswax or tallow. Modern votive candles are available in a wide range of colors and fragrances, making them a popular choice. Votive candles are a standard size which means that they can fit in any votive candle holder. In addition to traditional waxes, votive candles can be found created from newly popular vegetable waxes such as soy. Why Buy Votive 10 Hour Candles? There is nothing quite like candlelight to give atmosphere to a party. Just as the gentle twinkling of candlelight adds lovely ambiance, a burnt out candle can have the opposite effect. Many people, when they are holding a party, do not want to worry about replacing candles part way through. Therefore candles with a long burning time like a 10 hour votive candle are a great choice. These candles are generally reasonably priced and this means that candles can be used during a party without fear of burning the dollars away. Votive candles are often placed inside votive candle holders. These are specially designed containers that allow the candle to burn without risk of hot wax getting onto furniture or soft furnishings. It also ensures that the candle burns evenly and doesn't get blown out. Many votive candle holders are very attractive and are miniature works of art, perhaps formed from glass that has been painted or etched, or in interesting shapes such as hearts. These are pretty decorations that look stunning when the candle is lit and enhance any home. The long burn time of a 10 hour candle means that the candle can be burned over a series of occasions without having to be changed. Many votive 10 hour candles contain a special fragrance oil. When the candle is lit, it releases the fragrance into the air. The fragrance will gently waft around a room, adding a lingering scent. The types of fragrance vary tremendously, from fun and funky fragrances such as bubble gum or baby powder to novel fragrances such as cut grass or marmalade. Votive 10 hour scented candles are ideal for burning over long periods of time to give a pleasant and pleasing fragrance to a room. Most candle makers state the burning time of the candles on the candle label or packaging. This allows the customer to pick the right candle. It is also helpful for price comparisons. Many websites clearly state the burning time to make finding 10 hour votive candles straightforward. General Wax and Candle Company - This company sells in bulk, which is a useful way to buy candles at wholesale or discount prices. Candles4Less - This site has many different candles, including votives.